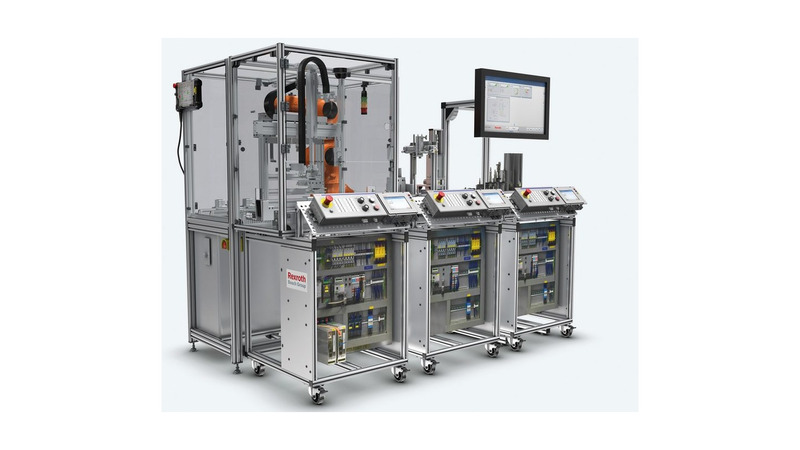 The mMS 4.0 training system - a complete Industry 4.0 system in miniature. The system addresses a real-life cube assembly, from the removal out of a rack to processing with a pressing machine, and through to storage in a high-bay warehouse. Assembled from standard components. Completely interconnected, programmable and extensively secured. Cells can be flexibly added to the system, such as a 6-axis jointed-arm robot. The entire system or individual stations are shipped fully assembled, installed, and programmed. You can get started right away.